Syria wants the US and its allies to pay for the destruction of Syrian infrastructure and to bear legal responsibility for "illegitimately" bombing civilian targets, Damascus has told the UN, demanding that the American-led coalition strikes stop. The Syrian "Government insists that these attacks must come to an end, and that the members of this illegitimate coalition must bear the political and legal responsibility for the destruction of infrastructure in the Syrian Arab Republic, including responsibility for compensation," the Permanent Mission of the Syrian Arab Republic to the United Nations said in letters addressed to the UN Secretary-General and the President of the Security Council. Stating that the ongoing US-led anti-terrorist airstrikes "continue to claim the lives of hundreds of innocent Syrian civilians," Damascus claimed that the bombings had led to a "near-total destruction" of homes and vital infrastructure, including the "utter destruction" of oil and gas facilities. The attacks, along with US and EU-imposed economic restrictions on Syria "are impeding the maintenance of those economic facilities and jeopardizing the prospects for development and reconstruction" in the country, the letters, written last week, said. To support their claims, Syria'correspondence referred to two recent cases where the coalition's jets destroyed oil and gas facilities. 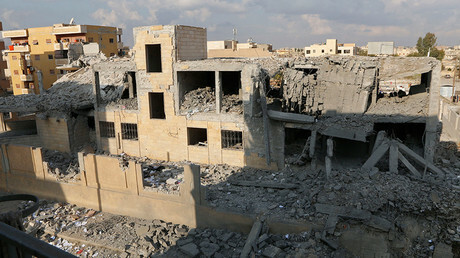 Damascus also said the May 27 bombardment of Hasu Albu Awf village in the Hasakah governorate, "completely" destroyed many homes and killed at least eight civilians, "most of them children." On Friday, the US-led coalition announced the demolition of a number of oil and gas facilities in various parts of Syria which allegedly belonged to the Islamic State (IS, formerly ISIS/ISIL) terrorist group. Targeting the terrorists' illegal oil trade and jihadist infrastructure has been a cornerstone of both American and Russian strategies in Syria. But while Moscow coordinates its strikes with the Syrian government, the Washington-led operation has been harshly criticized for its indiscriminate bombing practices and doing so without communicating with Syrian government forces. Damascus' letters to the UN once again underlined that the American air campaign is being conducted in violation of international law, as it lacks any form of consent or authorization from the Syrian government. Raqqa, known as the stronghold of IS, has been the main focus of the US operation in Syria, where Washington is guiding and supporting the Syrian Democratic Forces (SDF). While the US-led Operation Inherent Resolve this month confirmed a total of 603 civilian deaths in the US-led air campaign in Syria and Iraq, Airwars, a UK-based group that monitors airstrikes and civilian casualties, claimed this week that it tracked “more than 700 likely civilian deaths” in Raqqa alone – even before the battle for the city began in June. However, there is little chance that the document would lead to any repercussions for Washington, international relations professor Jamal Wakeem told RT. "I don't believe that the United Nations will take any action against the United States, because we know it has been the tradition of the UN not to act against any aggression done by the US against any country," Wakeem said. Even if the UN moves forward with Syria's claims, "the US, as a permanent member of the UN [Security] Council, would veto any resolution that could be proposed against it," Wakeem added. 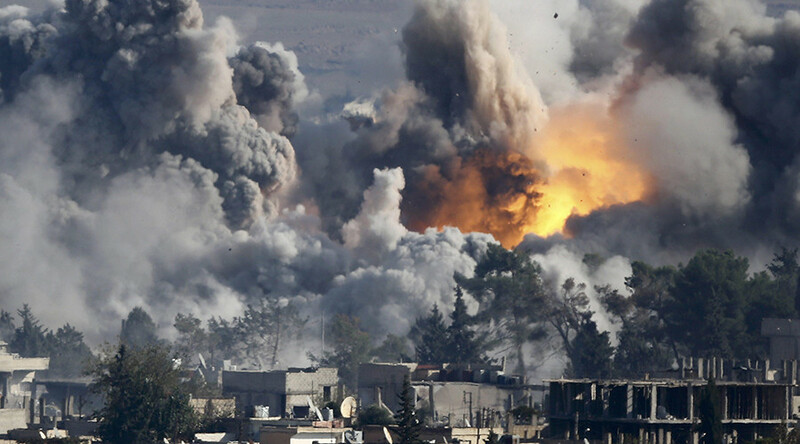 Nevertheless, Syria's move "could affect the US, not on a political, but on a moral level," the professor said.